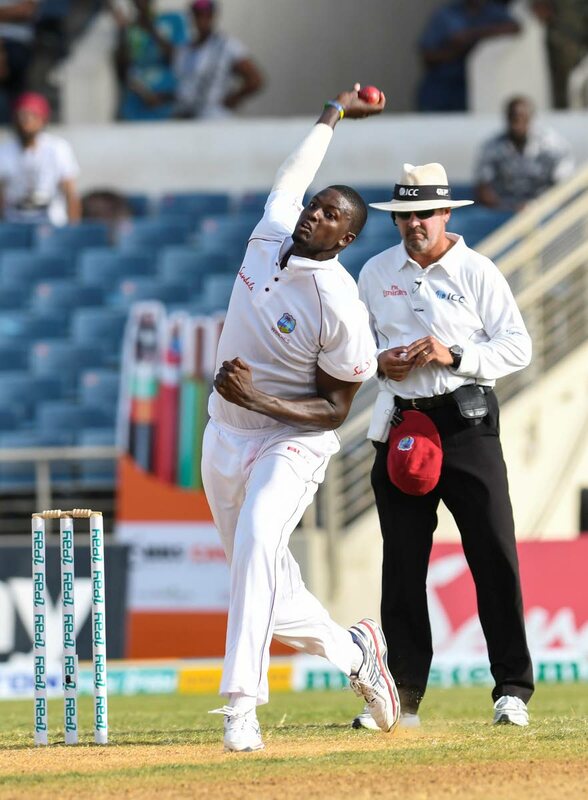 West Indies captain Jason Holder sends down a delivery against Bangladesh in the 2nd Test at Sabina Park, Jamaica. JASON Holder said moving ahead of Bangladesh in the Test rankings was one of their main goals, and the Windies captain wants his team to continue that progress for the rest of the year. The Windies were dominant in their 2-0 Test win over Bangladesh, clinching the first Test in Antigua by an innings and 219 runs, and sealed the series with a 166-run victory in Jamaica yesterday. With the series sweep, Windies leapfrogged Bangladesh into eighth place in the ICCTest rankings and are now just 11 points behind Pakistan who sit seventh. West Indies will play three Tests, five ODIs and one T20 in India from October to November, before travelling to Bangladesh to play that country in two Tests, three ODIs and one T20 from November to December. Holder has been performing at a high level recently, which included an 11-wicket match haul in the last Test match. Holder said he is starting to understand Test cricket. Holder has a batting average of 30.26 in 34 Tests which includes two centuries and seven half-centuries. The Windies captain has been contributing valuable runs batting at number seven or eight in the order, and would welcome the opportunity to move up the order. “I would like to (bat higher but) in terms of the context of the team that is the way the selectors have gone. Reply to "Holder delighted to move past Bangladesh"